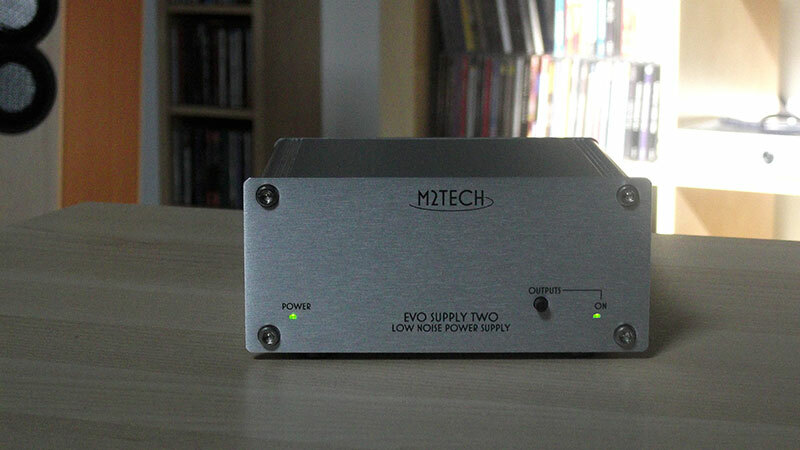 ← Mystère ia11 integrated amplifier! 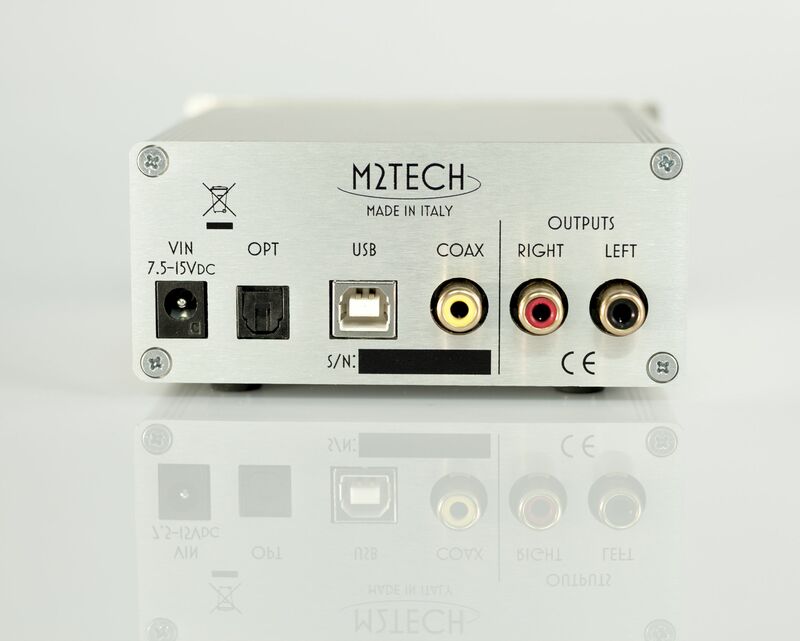 Desktop and computer based audio is a growing category amongst enthusiasts and one Italian manufacturer, M2tech, based in Italy, has been specialising in this area for some years. To compliment their existing product range they recently announced three new products. Evo Two is a true Swiss Knife for its extreme versatility. Its USB device interface is USB 2.0 Audio Class compliant and supports ASIO under Windows and Integer Mode under OSX. 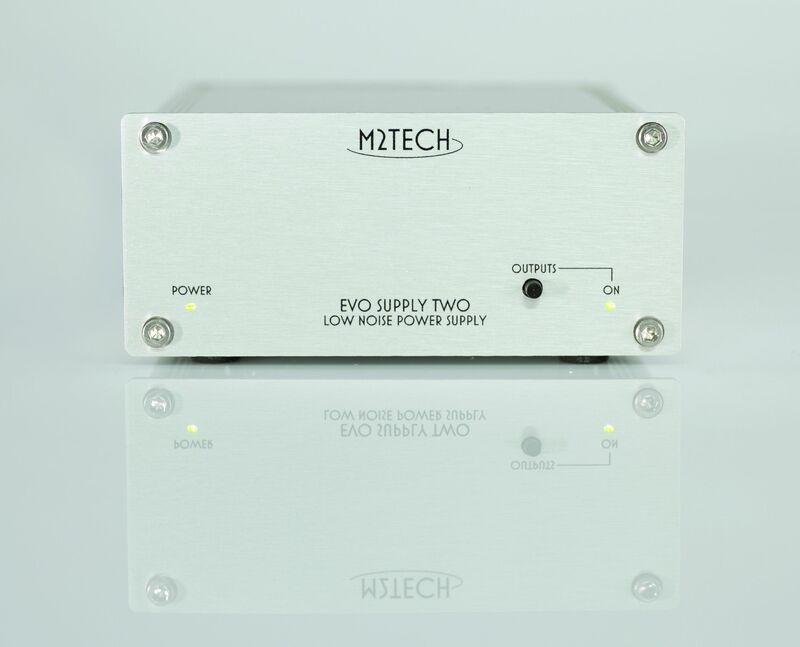 It is supported natively under OSX and Linux and can be powered by the USB bus or by an external power supply such as the new Evo Supply Two. 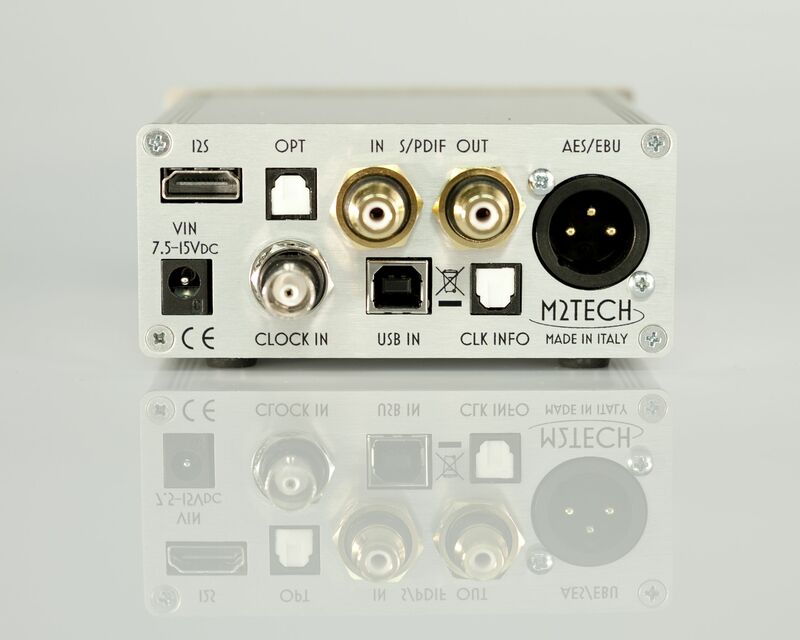 Its comprehensive outputs set includes S/PDIF, AES/EBU, Toslink™, and I2S in PS Audio standard. 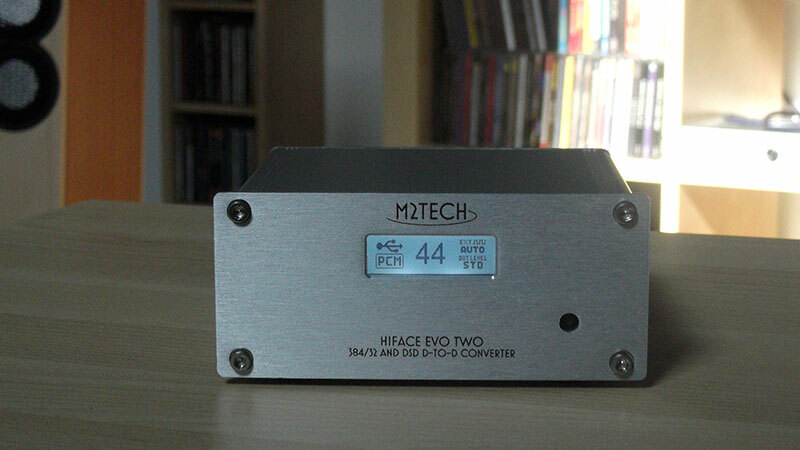 Supported formats include PCM up to 384kHz (on I2S only, up to 192kHz on all other outputs) and DSD up to 128x (on I2S only). 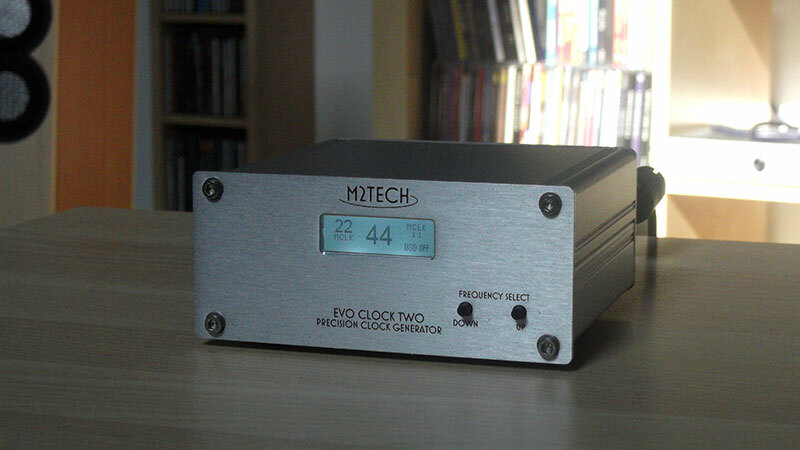 The external clock input accepts word clocks as well as master clocks, even asynchronous to the selected sampling rate. Sampling frequency information are sent out by an optical transmitter to the clock generator for automatic clock switching. An auxiliary S/PDIF input allows for sending digital audio data to the computer for recording, as well as for sampling rate conversion through the internal SRC. An LCD display shows all settings, together with the selected sampling frequency. All settings, as well as HID features, are set by a remote control. 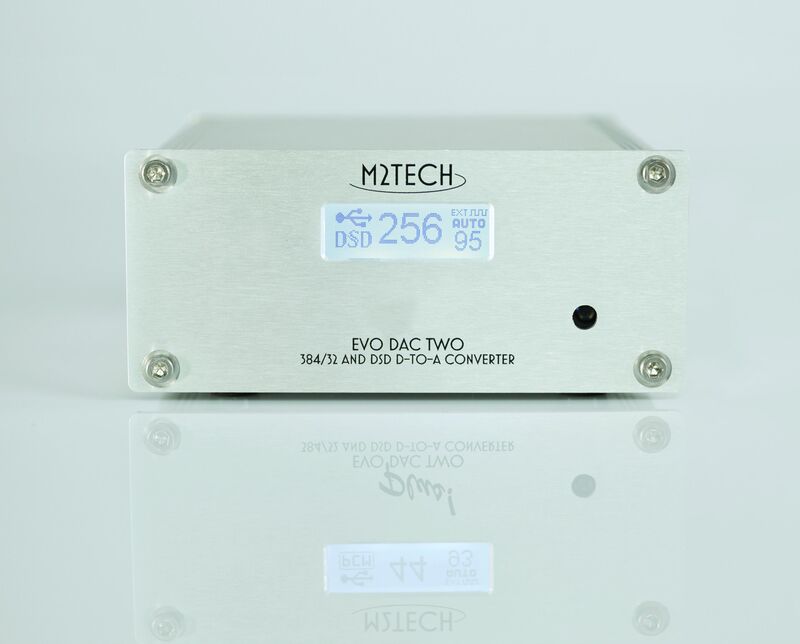 Evo Clock Two is a high precision Word Clock and Master Clock generator, which is perfectly tailored to the hiFace Evo Two, but is reported to work perfectly with other equipment accepting a word clock. 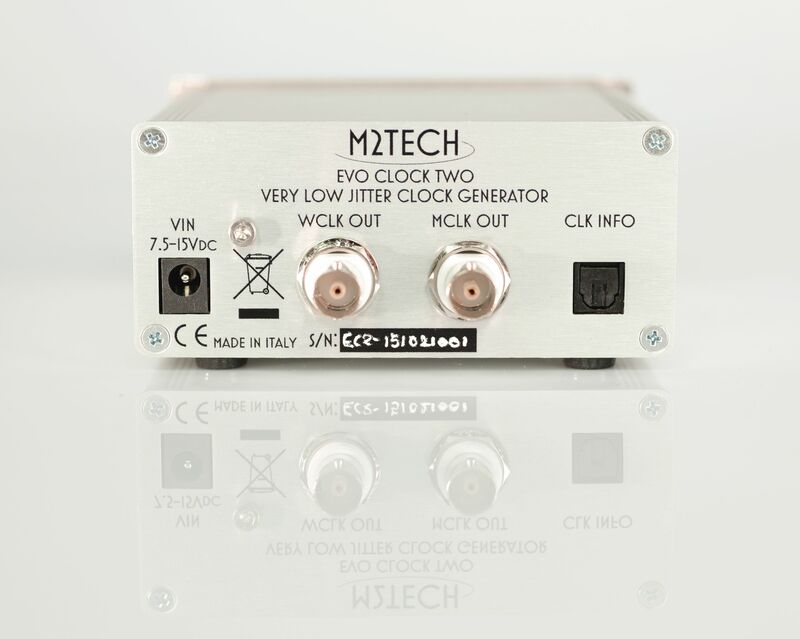 Its internal high stability and low phase noise TCXO’s are routed and divided by a highest precision clock conditioner generally used for digital data transmission over satellite links. 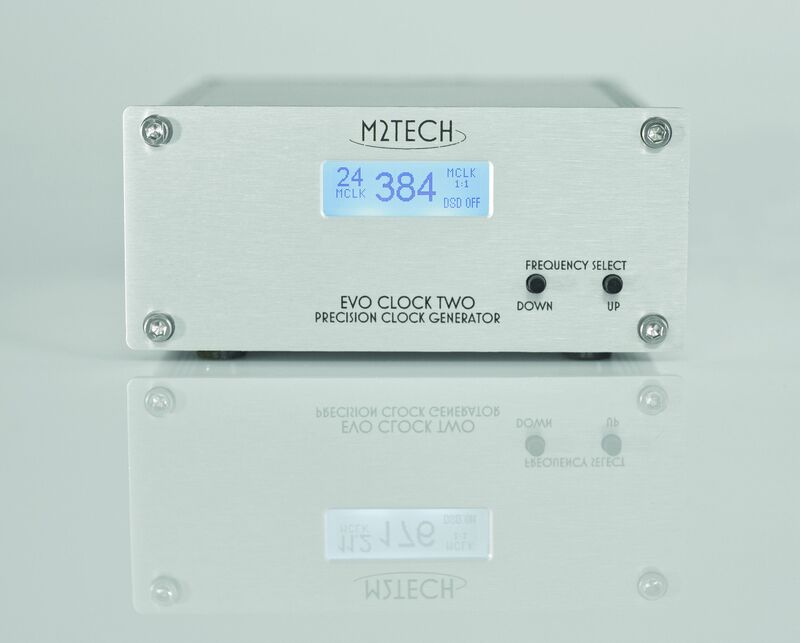 Automatic frequency selection is performed when the Evo Clock Two is connected to the hiFace Evo Two by the dedicated optical link. An LCD display shows the selected sampling frequency. Manual frequency selection is done by two buttons. 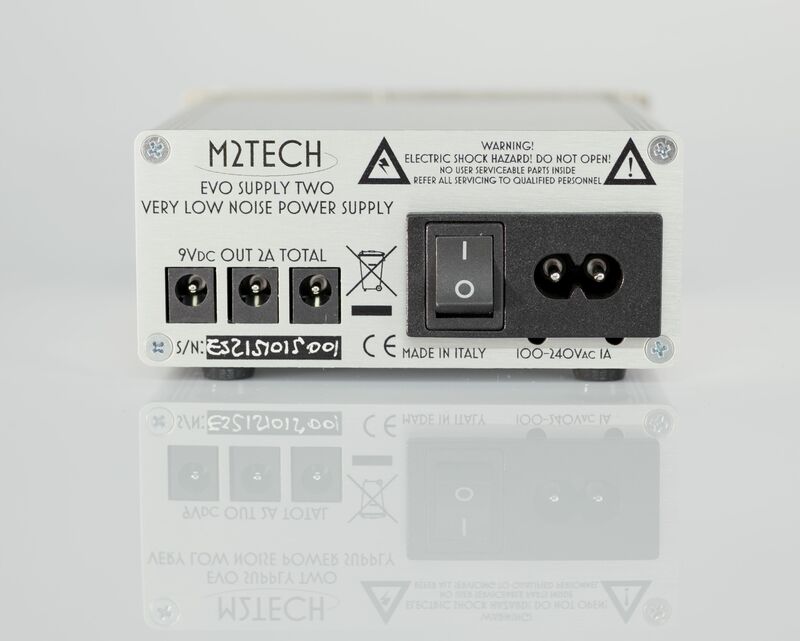 Evo Supply Two is a very low noise 9V power supply dedicated to the Evo Two Series products. It is provided with three outputs which deliver clean current from a low noise, discrete components regulator. Outputs are switched with a relay operated by a button on the front panel. Overcurrent protection is included on each output. All units are enclosed in a stylish aluminium case with 2mm brushed front panel, 105x48x100mm. In the gallery below you find HR pictures of the new models. The Evo Two series are available in the BeNeLux through Durob Audio. Send an email to info@durob.nl for more information. 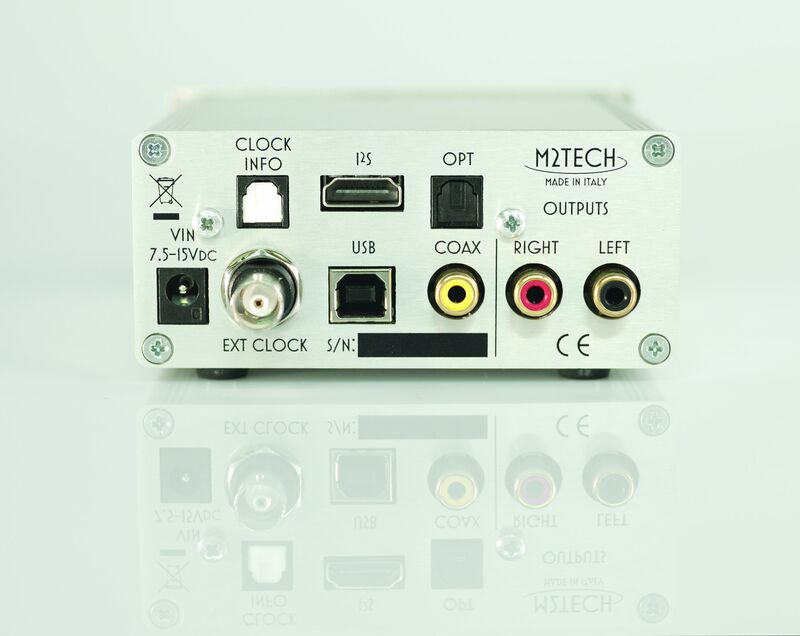 More information you also find on the website of M2Tech. Click HERE to visit the company website. 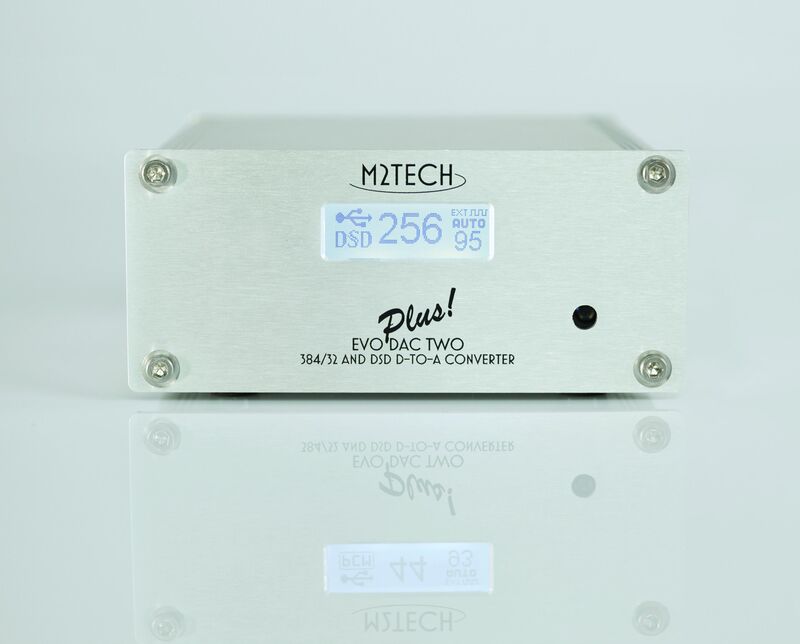 Dit bericht werd geplaatst in Bluetooth stage, Dealers - Revendeurs, M2Tech, Versterkers - Amplificateurs, Voorversterkers - Preamplificateurs en getagged met durob audio, m2tech, M2Tech EVO Two serie, M2Tech new models. Maak dit favoriet permalink.